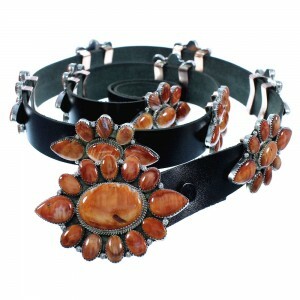 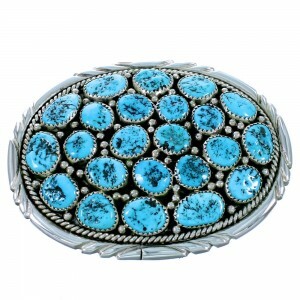 Native American belt buckles offered at SilverTribe are a great addition to any wardrobe for any occasion. 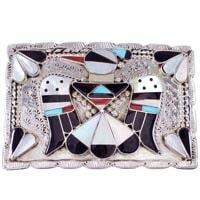 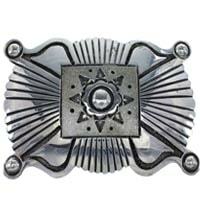 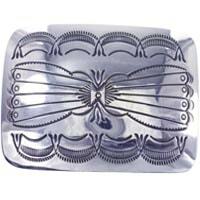 In the Southwest particularly, these belt buckles are the perfect blend of native and Western culture. 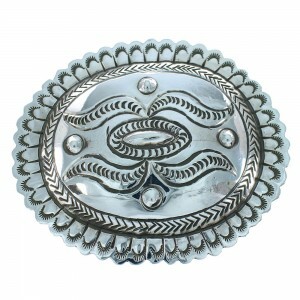 Many believe belt buckles came into fashion in the Southwest when easterners headed west and began trading with American Indians. 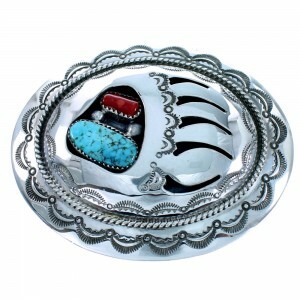 The Native American Belt buckles that have been made for generations use material that is well known, such as turquoise and sterling silver, while others feature colorful gem stones meticulously carved and set in place. 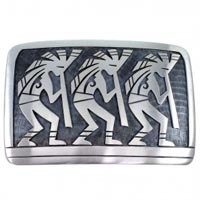 Whether you are looking for a straight-forward, elegant design, or something more elaborate, our Native American belt buckles will make a welcome addition to your collection. 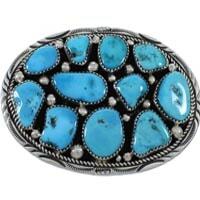 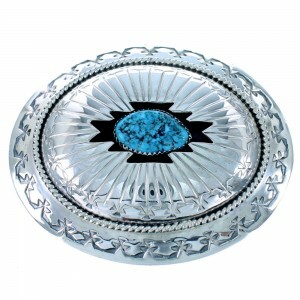 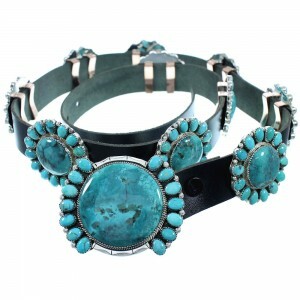 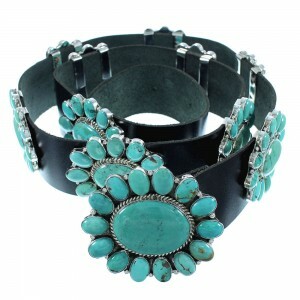 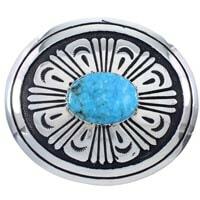 Navajo Native American belt buckles often feature an engraved sterling background with a turquoise centerpiece. 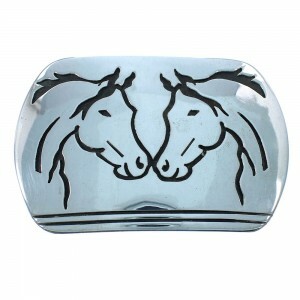 These are among our most popular Native American belt buckles. 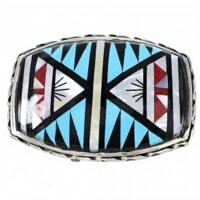 We also have a large collection of multicolor inlay Native American belt buckles that feature detailed landscapes and culturally significant images. 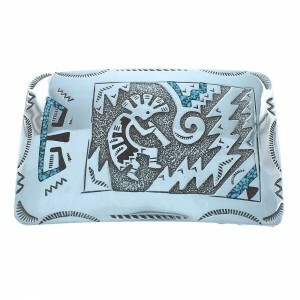 Common imagery includes Southwestern landscapes, village scenes and animals. 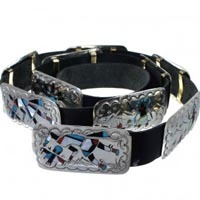 Our artists are well known throughout the industry and provide us with one-of-a-kind pieces that will be an asset to your collection. 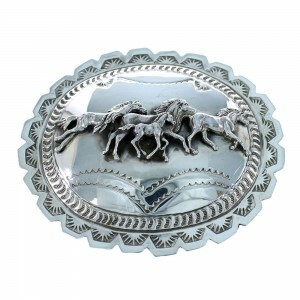 Many believe Navajo Indians were the first to take up the craft of producing Native American belt buckles roughly 125 years ago, when silversmithing was introduced. 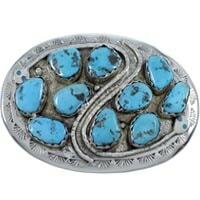 That knowledge was reportedly handed off to other tribes, notably the Zuni American Indians. 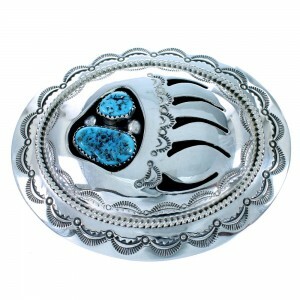 Today, Navajo, Hopi and Zuni all have their own distinctive style of Native American belt buckles that capture their history and cultural beliefs as well as the knowledge of silver working passed down through the generations. 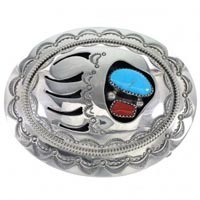 We hand select our Native American belt buckles from the finest and most respected artists in the business and offer them at prices well below the industry average. 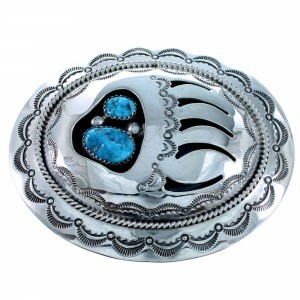 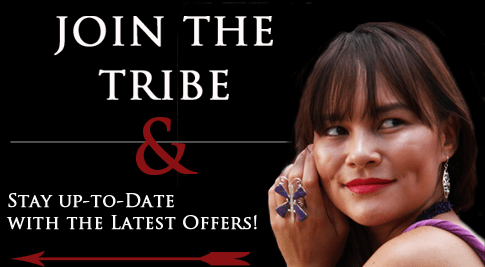 Browse through our selection of Native American belt buckles to find the perfect piece for your collection and wear your own piece of American heritage today.